Elizabeth Campbell directs the UNRWA lobby in Washington, D.C. Most recently, The GAO issued a scathing report blasting US State department officials who provided false reports on UNRWA for the US Congress. Having commissioned thorough examination and translation of all Palestinian school books used by UNRWA since 2000 by journalist Dr. Arnon Groiss, a 42 year veteran of the Arabic language division of Israel Radio, holding a PHD in Islamic Studies from Princeton, we discern that UNRWA education for 321,000 UNRWA pupils is based on deligitimization and demonization of Israel, along with indoctrination to liberate all of Palestine, by force of arms, while featuring killers of Jews as role models for the children. Meanwhile, Hamas has been running the teachers association and workers union of UNRWA in Gaza for the past 20 years: A far cry from the required neutrality of UN employees. 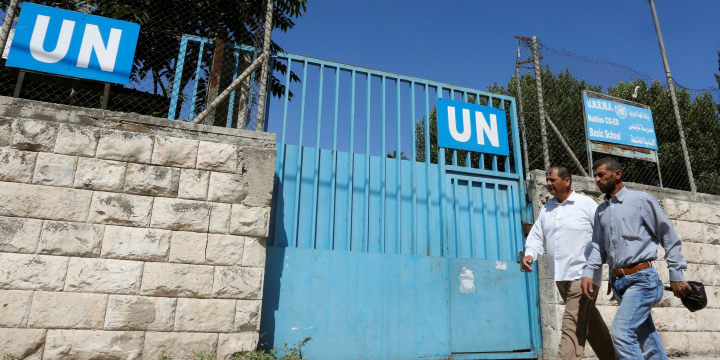 In short, UNRWA contradicts the peaceful mission of the UN.